Comfort Soft Plus cannula nasal prongs are slightly curved to enhance and promote proper alignment on the face; and the included 7 foot tube is green for increased visibility and safety when in use. I received my order fast and i would recommend this company to anyone, again i thank you . These nasal cannulas help so much with issues of sores inside my nares. I can now wear them all night without getting any sores at all, even around my ears. Thank you for making these available online. They are so soft. Better than what my supplier gives me. Excellent. Easy to order, no shipping charges, received package within 5 days. I like these as they are soft and not irritating on my face. These are extremely comfortable unlike the stiffer ones. Very nice. They have decent prices fir their products. Fast service and fast delivery. I was spoiled by Thompson Engineering whose cannulas had a very soft nasal piece. These supersoft cannulas are ok along the cheek and around the ear but are very hard in the nose. I will continue to look for the soft nasal pieces! 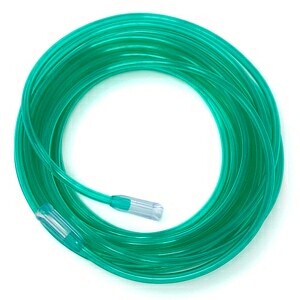 I was very satisfied with my purchase of the ComfortSoft Plus Nasal Cannula with 7 foot Green Oxygen Supply Tubing. The service was exceptional and i will certainly visit again. Knowledge and helpful! Advisor found the best price for me as well. The product is great ad provides comfort that is needed under such medical conditions. The product is comfortable at best as compared to others on the market. My other wish would be that the soft tubing product would be made in 25 and 50 foot lengths. This product is junk! Will not stay tight and in place. Second time I've ordered these. Right now they are better than anything else I have tried. They only issue is the rubber/plastic hardens up pretty quickly. I'm mobile and use oxygen mostly to sleep with. I do not use it 24/7. I love the initial flexibility. Just wish it would last longer. Unless I find something better this is my go to brand. I find the newer ones to have such a large cannula diameter it is very uncomfortable for someone with a small face and the prongs are spaced to far apart. The older ones were great and smaller. There is a smell when you take out of the bag but I just let them sit for a few days. I use these because they are soft and the cannula is not as long as other brands. Just wish for the older smaller more comfortable ones. I keep looking for another brand that is smaller but no luck, yet. So I will keep buying these. Nasal Cannula is soft and pliable. These Cannula's make breathing through a tube pleasant. You hardly know you have something up your nose. This nasal cannula makes the wearing experience more possible. They are the best I have had! Have ordered these before and liked them so I have re-ordered. Reasonable price and excellent service. Cannula is very soft and comfortable. Great when sleeping, no deep lines in the morning! Safe vendor with quality products. They are just fine. Very satisfied. Great Product! Always order the best. I received it very promptly and was very happy with the price. I would highly recommend them to anyone. The medical company that sold them to me was fast and secure. The problem I have is how after all these years they r still the same design, Even with all the hi tech knowledge that’s available, we have the same uncomfortable plastic tubed ,nose irritating canullas . These cannula actually live up to their name. I bought this product to get the 7-foot tubing for the nasal cannula. I did not know that there was any difference in this one and others that I have used. But in fact, the pieces that are inserted into the nostrils are longer than the usual cannulas. They are a bit uncomfortable and I am thinking about cutting off a few millimeters of the tubing to keep them from going so far up my nose. They are comfortable over the ears, but do not seem to last any longer than the ones that are not so soft. Very soft tubing..comfortable to wear.. The size & shape nose piece most comfortable. Great service! This company cares about its customers! I needed an urgent delivery but ordered late in the day. A representative from the company called me later in the evening to inform me about my shipment. After years of working with patients on oxygen who had to deal with sore raw ears from uncomfortable cannulas, when my husband had to go on oxygen, I had bought him all those pads and such for the regular oxygen tubing that you put on to protect his ears from the common sores people often got. They work somewhat, but not all that well. Then I found these super soft cannulas and although I wondered how good they could actually work, I ordered them for him. Wow! I was amazed when I opened the first one and found how soft it was. What a difference they make. He loves them and doesn't even feel that they are on. I came back and ordered a box of 50 at a great price, so now I can share them with my patients as well. Everyone is amazed when they try them. I wouldn't use anything else for my husband, as these are so soft and comfortable. I highly recommend them to everyone. As usual Direct Medical was right on the ball with my order. The ordering was easy, the shipment was timely, and everything was super. Easy online ordering and free shipping. Great product. These cannulas are extra comfortable and work efficiently. So glad I bought them! Gets loose and falls off ! Need to re-engineer the slide adjustment that holds the cannula in place around your neck. Arrived quickly and product was just as advertised. Price was good. Will order again. shipped and arrived very quickly. Love the soft nasal cannuals because they are much easier on your nostrils. Keep my ears from getting pressure sores. I must wear oxygen 24/7. The slider doesn't stay tight, but the soft feeling on the ears is so much better, that we just tie it on with a shoe string behind the head... And it works great. I will keep ordering more in the future! Just what we wanted. Very comfortable. Fast service. The softest I have found much preferred by wife and myself. Love these, so comfortable, no more sore ears, cheeks. Do not tangle up. Quiet, others you can hear flow, haven't had that with these. This cannula is great especially to use at night since it does not hurt your ear as other do. The ComfortSoft Plus Nasal Cannulae from Direct Home Medical are more comfortable and nicer to use than the originals that were supplied with my equipment. The price is right, and the whole process from ordering to delivery is seamless. There are so many difficulties dealing with loved ones who are ill! Working with your company has made it a breeze to have my dad’s oxygen supplies delivered promptly. Thanks for all you do! good product, very soft and comfortable. Best I've ever used so comfortable. Works great and is so much more comfortable than the regular tubing. There are the softest I have ever used. It was much softer for my sister and very comfortable for her last days with us. Thank you. My sister was much more comfortable in her last few days with us. Thank you very much for that. the plastic outgases. smells horrible. The comfort is there but I don't think the ox flows is as strong as it is with the other tubing. Very easy to order and after looking several places for this product finally found it with your company. We are very pleased. Thanks for stocking this great item...it makes all the difference. Will definitely purchase again . Always great, fast service! Thank you! Super soft and just what I wanted. Love the super soft cannula but have issues with the slide that does not stay in place after several week use. I have seen many complaints in reviews about this problem. I resolve this issue by rubbing a light amount of Goop adhesive to both slide lines which when dries hardens and provides the friction needed to keep the slide taut for several more weeks. I deal with it. Quality products at reasonable prices. Fast shipping, sometimes free! I love buying from Direct Home Medical because I know I will be satisfied with the service and the products. Never any problems with them!! The customer service I receive is the best I've seen in a long time and my delivery is on time as promised. Has a a chemical smell when in use, I have not noticed this with other canulas that I have used. I am satisfied with these cannula's but I could, i'd make them even softer. I am on oxygen 24/7 and they still are painful behind my ears but they are much better than the regular ones. These are the best canulas I have ever had! Soft and can't hardly feel them on your face. Very comfortable. Can hardly tell it's there. This product is very good, but could be better. Never really comfortable. These are quite comfortable! We both sleep with them on! They are much more comfortable than the previous ones. (From a different place.) I am happy to find the ones that are more comfortable. Thanks! Love these cannulas..soft, easy on the nasal passage. Reasonably priced. LOVE THE SOFT CANNULAS!! BIG DIFFERENCE FROM THE ONES MY INSURANCE COMPANY PROVIDES. THESE DON'T LEAVE THE DEEP INDENT IN MY CHEEK. I AM A SIDE SLEEPER. I DON'T HAVE TO HOLD WARM COMPRESSES ON MY CHEEK FOR AWHILE,TO "IRON THAT OUT". I HAVE BOUGHT THESE BEFORE. REALLY LIKE THE LENGTH OF THE NASAL PIECES. THEY ARE MOST DEFINITELY LONGER THAN OTHERS. AT LEAST I KNOW THE O2 IS GOING IN. WILL SAY THAT I DIDN'T PARTICULARLY ENJOY THE SCENT OF THE NEW SHIPMENT, AT LEAST NOT THE ONE I PUT ON MY OXYGENATOR LAST NIGHT. ARE YOU USING A DIFFERENT PLASTIC COMPANY? IT HAS A STRANGE ODOR. ALL IN ALL, I WILL PURCHASE THEM AGAIN. I BUY THEM 20 AT A TIME. I DON'T CARE IF YOU ARE SUPPOSE TO CHANGE THEM ONCE A MONTH....THAT'S GROSS. EVERY WEEK I TOSS ONE OUT, AND STICK ON A NEW ONE. Thank You DirectHome Medical for suggesting this very soft and very comfortable Cannula. I highly recommend it to all citizens who use oxygen . A five-star item for me. Tubing is soft, pliable and comfortable to wear. I like the softness and flexibility but the prongs are long and not tapered toward the tip so the poke my nostrils. My wife loves the fact that this item is so soft and pliable but there seems to be an issue with the slide that keeps it snug. These are the most comfortable cannulas I have ever used .Needing to wear oxygen is a pain anyway,but wearing a nasal cannula that continually reminds you because it pinches ,slips and does any number of annoying things ,drives you to starting looking for better solution.I found it. It is softer than what I was using and doesn't leave a mark across my face. Very pleased and will order more. It is too soft and floppy and it kept sagging so much that it would fall away from my nose and I had to keep pulling it tighter over my ears. I couldn't tighten it under my chin because the slide wouldn't hold at all. Unfortunately, I bought five of them. I haven't been using the cannula's that my health company provides with my oxygen. They are stiff and I wear them just a short time and have to get a new one. When I received this new super soft cannula from Direct Home Medical, I couldn't believe the quality and indeed it is "SUPER SOFT". I just wish I would have found you a few years ago! Bought these for my husband - they are soft and not inflexible like the others on the market, and don't irritate his skin at all. The Cannula was very soft in my nostrils. The type I had been using was hard and very irritating, this "COMFORTSOFT" is the BEST! Very comfortable and soft tubing. This is the second or third time that I have ordered these cannulas and have found them to be the most comfortable on the market. Considering I have to wear one 24/7 it really matters that it is comfortable. I truly appreciate the fact that Direct Home Medical offers free shipping as well because when I shop online, free shipping makes a big difference to my buying decision. They work well and are very soft. Good product. best and fastest service you could ask for. The slides on these cannulas move much too easily. Because of that the head loop enlarges very quickly with any movement, and soon starts to drop off the ears. Some other brands of cannulas have more resistance to sliding, and loop enlargement is slower or even not a problem at all. The best cannula for me! Super soft 7' comfort plus cannula is the best I've tried! Bought these to replace some truly super soft cannulas that had worn out. While these are softer in comparison to the regular cannulas out there, they aren't even close to the ones I was trying to replace. I certainly would not call them Super Soft. This company shipped products within 4 days of order, received and they were exactly what we ordered. Great company to order supplies from! Will recommend! These cannulas are very comfortable and it is nice to not be distracted by the tubing. The product arrived quickly. It is as advertised very soft. Much better than other cannulas I've used. I will buy again. Thanks. Very good product. The softness and fexibility helps to relieve the minor pain/irritation I get from wearing one overnight. I had only ONE issue with them and that was TOTALLY my fault. I orded a few of them in the 4ft lenght and even though my Oxy unit is very close to me at night that was just a tad short. I got the longer ones this time and that turned out to be the best choice for me. Aside from that everything has been perfect with the order, delivery and usage. These are the softest, most comfortable canulas I've ever used. Would recommend them to anyone who needs them. This is a great cannula. It was recommended to me by Cory who works for this Company and I'm really pleased. I was having problems with the 16soft since it Didn't stay in my nose so well but this one does and I feel like I'm getting good oxygen flow. The nasal part is longer and thinner which just fits my nose better. All in all a terrific product. Have been using these for some time. They hold up well on my portable oxygen concentrator as well as my home unit. They are comfortable to wear, and they do not crimp off on either unit. They are especially good on my POC. some reviews commented on 2 things--the bad odor of the cannula and the fact that the clasp under the chin would slide. I found this to be true. But because the soft cannula is so comfortable, my husband and I figured out a solution. We cut a pony tail hair band and slid it thru the clasp (and tied it too... so it would stay) The pony tail band was just the right thickness to allow it to stay put but also be adjustable up and down, and not so thick that it would hurt the oxygen flow thru the tubing. To get rid of most of the odor, I hooked it up and turned the oxygen as high as it would go and let it run for a couple of minutes...helped quite a bit. I wish someone would listen to the complaints and come up with a solution to this design. I also wish these cannulas were made in America!! The part at the nose is a nice comfortable fit. Nice and petite. Not this large mass that blocks your nose. But, the green tubing is too stiff. The four foot clear tubing is perfect but too short. Perfect would be to leave the nose small and make a five foot soft clear tubing. Soft as a baby's you-know-what! So soft and comfortable you don't need to consider foam ear protectors. AND SMALL IS PERFECT. MY MOTHER IS A VERY SMALL PERSON AND MOST CANNULA ARE TO BIG TO BE COMFORTABLE. THESE WORK GREAT FOR HER. These are the most comfortable cannulas I have ever used. Company supplied me with the large stiff lines. These are great, do not irritate ears. Inexpensive and works great. I've tried serveral and these are by far the best. Its exellent,lives up to describe. This best Cannula I have ever used. The Cannula is soft rubber not vynil. No more sores on my ears or being rubbed raw. 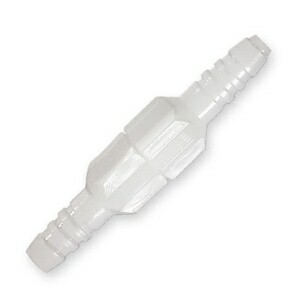 I purchase the Westmed Comfort Soft Plus Adult Cannulas in the 4 feet length, 7 feet length, and 14 feet length. I will not use any other brand of Cannula. MOST OF ALL OTHERS ITEMS I HAVE USED ARE NOT THIS QUALITY IN ALL AREA'S OF FIT. I absolutely love these. Because they are so soft they don't make my nose bleed like standard type cannulas. Plus the 7 foot length gives perfect latitude for normal functions. Very comfortable and a pleasure to wear. To me though, seems I have to change more frequent than with the standard cannula but not enough to make me go back to it. Comfort overruled! To give my nose and the back of my ears a break, I wear these for a while. Sure does help. This is by far the BEST cannula as far as softness against tender, sensitive skin. It does NOT, however, stay in place while sleeping; the little ring that tightens the tubing under the neck slips loose so the cannula actually slips out of the nostrils. I needed a nasal cannula that was soft and didn't cause sores behind my ears during night treatment. I found these work well and are super soft! There's a distinct odor when in use, but I can tolerate this better than sores behind my ears. I purchased the 7ft for use with my machine and the 4ft for my portable tanks. Will definitely purchase more as needed. This is my third order of this product and I was previously very happy with the product thus my reorder of double quantity. So far, 5 of the ten received this time have slides that are too big and are not tight enough to stay in place causing the tubing to be constantly twisted and falling off my ears. I can not believe how soft and confortable the cannulas are. I will keep on ordering these. Thanks. My old cannula went bad, yes they can do that. Couldn't hardly breathe from it. Got my new ones super fast! And am now breathing well. Treat yourself. Get these soft ones, #0056. Very comfortable. Nose piece is thin and curved, you canbarely feel it is there. Tubingus super soft. The onlyreason Idid not give it 5 stars is because the tubing twists and the slide to tighten is too loose. The nasal,prongs are stiff and irritating. The softer portion only helps the ear area. Very pleased with my purchase. The comfort soft nasal cannula exceeded my expectations. For 2 1/2 years, my husband has suffered from sore ears, sores, bandaids that don't stay in place and pain. He had to go to the hospital and while there, he had a very comfortable cannula. The nurse gave him a couple to bring home. I ordered a pack of 10. The price is more than fair. We shared them with a friend who had the same problems. You now have two new satisfied customers. There have been no sore spots and no need for bandaids. These cannulas solved a big problem. This is by far the softest cannula I have ever used and an enormous relief to my painful ears. Great service like the cannulas. Would order again. received order in two days. Exactly what was described and ordered. Very satisfied. I am very pleased with the products I received. They are much better than what I had been using. I appreciate the prompt service. I like these nasal cannula for home use they are longer and are flexible and very soft. My father was given some very soft nasal cannulas during a hospital stay which eliminated the need for the foam ear protectors. Finally found them at a reasonable price and were delivered quickly. Great product. So soft and comfortable you will not believe it. Forget that its even on at times. SuperSoft / ComfortSoft Plus Nasal Cannula with 7 Foot Green Oxygen Supply Tubing,is just the right thing for my oxygen use. The other cannula were causing sores in my nose and my nose would bleed from time to time. This cannula is so soft that it does not rub against my nose. It is so much better than the other ones I had been using. I am very pleased with the comfort soft plus cannula and with the speedy delivery. These are wonderful to wear and very easy on the nose and face. I have been using these soft cannulas now for over 3 years. They are the best money can buy. Seeing I will be on O2 for the rest of my life, I will never go back to the old hard ones. The nasal cannula broken at the connecting point after only 5 days. I've never had one break before. These reek worse than many insect repellents or varnish. Using set off horrid coughing spasm. Can't believe you would foist these on unsuspecting, horribly sick people holding yourselves off as "healthcare" providers. Direct Home Medical always has the best in equipment and supplies. I have been ordering for a couple of years now and have never had any problems, always great stuff. The cannulas that I purchased from Direct Medical are the most comfortable cannulas I have ever used. They are so soft, that I need to check from time to time to be sure that I am still using my oxygen. Comfortsoft really is much more comfortable! Not only are these soft, but the nose piece is medium sized instead of the very large ones that block your nostrils. These are the best cannulas I've found so far. Soft, comfortable and very reasonably priced. Also very quick delivery. I'm very pleased with the product and the service. I ordered these on Wednesday and received on Saturday. I was so glad as the ones that the oxygen company supplies me with are hard and hurt. These super soft ones are FABULOUS. I WILL be ordering more of these. This product is excellent, does not make my face or ears sore when wearing them for very long periods of time. Very pleased with the product. I ORDERED THIS WITH TWO OTHER CANNULI TO TRY, AS THEY WERE ALL LABELLED "SOFT". IT WAS SOFT, BUT, THE SLIDE KEPT COMING DOWN FROM THE CHIN, RESULTING IN THE CANNULA COMING OUT OF PLACE. PROBABLY WOULD BE OKAY IF PATIENT DOESNT MOVE AROUND A LOT. The soft tubing is very nice and comfortable. However, the small round slide used to tighten the tubing under the neck is completely useless. It does not grip at all so slides down and the tubing does not stay close in to the neck area. It should have some ribbing or something to hold it securely. Also, I am a woman with an average size nose but the part of the nose piece that goes into the nostrils seemed made for a small and narrow nose. The horizontal piece that the two prongs come out from is not comfortable. I will not purchase this again. When I attached the tubing to one of my tanks and turned the O2 on, and started breathing....it smelled horrible...like plastic. I have continued to use it and it is getting better. But, WOW ! What a shock! Just saying....... Other than that trivial thing, the cannula is comfortable and the tubing does't kink. Great product! I LOVE soft nasal cannulas! They are a welcome relief after the "old" hard ones that caused sores inside my nose. For the occasional cannula that seems to have a loose slide bolo I've been adding a couple of those tiny rubber bands that kids use for crafts. Two or three of them together under the bolo keep it secure. Also, they come in lots of colors, so if you want to decorate rather than try to hide your tubing they come in sparkly versions too! Don't forget that you should change to a new cannula every 2 weeks. This amount of time is not enough to grow mold inside. The only cleaning you should have to do is the prongs and adjacent tubing once or twice a day. So far the best cannulas I have used. These are the finest, most comfortable cannulas money can buy. Very soft tips I was very happy with the price and the service. Ordered them and they arrived very quickly. I would purchase them from this company again. After smelling the mold I ran water through for two minutes and while the smell was less it was still there and I could not use them. I received regular canulas at the same time and they had a moldy smell too. All Orders complete accurate and shipped on time. Would not even consider ordering form another medical company! I enjoy the soft tubing that doesn't irritate my nose and ears. You will love this item, it truly is supersoft! Makes all the difference in the world doesn't it! Everything about this purchase was excellent. Price, shipping and quality of the cannula was worth it. I plan to get more! This nasal cannula and tubing was everything I hoped. Soft over the ear and no deep gouges in my face :-) I almost don't know I'm wearing it. Should have got triple the quantity when they were on sale but I wasn't sure they would be what I wanted. These are the canulas thst are used in the hospital where i usually go. The home care oxygen company is still using the hard plastic canulas. They hurt my nose and my ears. I asked them msny times to get the softer ones for me but they never did. Im so glad i was able to find them at your company on line. Living close to the Royal Gorge we were evacuated from the fires twice. I'm now on oxygen each night due to the 7,000 feet altitude. These are comfortable cannulas with soft tubing. They arrived promptly, and as this is my second purchase, I will continue to buy from your company. Many thanks. Excellent product. I've tried to get soft cannulas from my oxygen concentrator provider with no success and the ones they have are extremely hard. I've tried to explain that after wear one for days it chafes the face and is uncomfortable. I'm very please with your product very soft and reasonably priced. I like the seven foot hose attached. Great quality. The one from my provider kinks and cuts off air flow. The nasal cannula is soft which makes having to wear this at all times much more comfortable in the nostril and not stiff and uncomfortable like regular nasal cannulas can be hard on the nose. 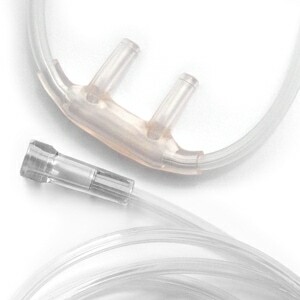 The softest, most comfortable cannula tubing I have ever used. They are a pleasure and everything else should be taken off the market. The Cannulas I ordered were softer than I imagined. They help to relieve pressure on my bones and face. My mother loves these. They are a lot more comfortable than any others. For me, although the facial tubing was very soft and comfortable, the nasal prongs were not. While they were soft enough, I found them to be too long for my nostrils so that they rubbed the skin and made it sore. At best, the irritation makes me sneeze which is rather annoying. At worst, my nostrils get very sore. I like the soft tubing for comfort but what I really liked was the fit of the cannula itself. Other cannula seem to pop out when I'm sleeping whereas this cannula stays put. This is the most comfortable Cannula I've used. Excellent Overall Experience with this Company and Product! I wanted to share my thoughts to future customers who are not familiar with this company. When I was placing my first order last month, i was hesitant, too! I read the reviews myself and felt pretty confident to place my first order. Well, this company surprised me with super fast shipping! !, a coupon code to lower the cost! !, and prices that were better than three other places I had for comparison! I am making this company my personal choice for all further supplies that will be needed! Definitely a wise decision to order here!! exactly what I needed. Great price! I found that the items are fine and I will be ordering from your company again. These are great. They are soft and comfortable. I purchased these for my elderly mother because her skin is so delicate and these are so soft that she no longer has sores on her face and around her ears. My left ear was happy with the Soft Cannula. The Standard Cannula had made my ear very sore. Satisfied immediately. They are not only very soft on my nasal openings--LOT less irritation but mold to the contours of my face so they are easier on my ears and they don't itch as much. the supersoft cannula is a big improvement to waking in the morning with a impressed ridge running from my ear down my cheek. These are sooooo much more comfortable than other cannulas I've used! I could not believe that the company that provides my oxygen generator does not carry supersoft cannula of any sort. I made my first order of this product online with Amazon and it is not what I got - it was seconds of the old hard tubing which required I trim a tab leftover from the molding off. Reading the amazon blog I saw that others received the wrong order from the same company so I sent in my review which Amazon would NOT post because it had the word "crap" in it referring to the product I received. So I found Direct Home Med online and I am VERY pleased that I promptly received the CORRECT cannula - AND at a lower price. THANK YOU DIRECT HOME MED. I GET FREE NASAL CANNULAS, BUT NOT THE SOFT ONES. I LIKE THE SOFT ONES MUCH MORE. I DO THINK THAT THE NASAL PIECES SHOULD BE MADE A BIT LONGER (THAT GO INSIDE YOUR NOSE). FOR US SLEEPERS THAT MOVE DURING THE NIGHT, SOMETIMES I FIND IT OUTSIDE THE NOSTRILS....AND THAT'S NOT DOING ME ANY GOOD. MOST OF THE TIME IT IS FINE. Mailed within a week. Happy with the product. Will be ordering more soon. Received the item in a very short time after it was ordered. I have used these before and am very pleased with them. However, i have used a different brand that has a softer nose piece than these. Would still order these again. Have tried other 'soft' cannulas and these are for sure the most comfortable for my husbands nose. Very pleased with the nasal cannily I purchased. Just as advertised, they fit perfectly and are very comfortable. I needed these in a hurry, as I was leaving for a trip out of town, and the customer service representative was very helpful in getting them shipped right out. Second purchase of these 7 ft nasal cannulas. Best thing we ever ordered. So much more comfortable for my wife to use. the ones supplied to me by the oxygen company were too stiff; I asked the delivery man if they had the real soft floppy one like the hospital had given me, he told me "no they give you these for nothing, those others probably cost too much". So, I went on line trying to find ones like the hospital, because I would rather buy them myself than use the others the are too stiff. A lot better than what was furnished by the home health care company. But a little to soft because it stretches a bit to much. My husband was in the hospital and received soft cushioned Cannulas for his oxygen. Our suppier would not offer them to us. I ordered online and I'm extremely pleased with the Comfort Soft Plus Nasal Cannulas. They are easier on the ears and plus great for sleeping with. Direct Home Medical shippment was speedy. I will do with them in the future. We purchased an AirSep Free Style Portable Oxygen Concentrator for my wife to use instead of cumbersome metal oxygen tanks. The cannulas that come with it and ones on our Floor Model oxygen concentrator were thick and stiff and caused my wife a lot of discomfort. We saw your add on the SuperSoft Comfort plus nasal cannula and ordered some. They were wonderful! My wife loves them. They work flawlessly and are super comfortable. Will never use the old type again. The ComfortSoft Plus nasal cannula is a great product for individuals who need to have oxygen on a full time basis. I was unable to order this cannula from my regular oxygen provider, however, my rehab facility (where I first became aware of the cannula) gave me the name of the product and I went from there. You almost forget you have something in your nose and around your ears. Great product! I had been looking unsuccessfully for a cannula with soft hosing that wouldn't leave a rut in my face at night. I ordered several other types from other sources that claimed to be soft but definitely were not. The ones I bought from you are the very soft ones the hospital used. No ruts at night and comfort all day. The flexibility of this tubing and the softness of the cannula make oxygen use much less irritating to the nose, ears and neck. Thank you for your most welcomed product. Customer Service was pleasant, returned my call within 24 hours and got the needed supplies to me in just a few days. Website user friendly. Thanks for the prompt Customer Service. You don't get too much of that in today's world and I want you to know how very appreciated it is. SuperSoft nosal cannulas are terrific! The SuperSoft nasal cannula is easier on the ears as they go around the ear. Because of being super soft the two small lines tend to wrap around each other if you are active but not a serious problem. My oxygen supplier provides the more rigid oxygen nasal cannula but I purchase these SuperSoft and find that they are well worth the price and wouldn't be without them. And Direct Home Medical is always a pleasure to do business with. As I said a good product but I ordered the wrong items. I wanted the hoses with the little lip that goes in your nose. I will have to reorder at a later date. These by far are the most comfortable cannulas I've seen in 2 years of being on oxygen. No ear sores or discomfort comparitively speaking. This is a very soft comfortable cannula. I recommend it for anyone who wants comfort. Best Cannula I have used! Purchased the Comfort Soft Plus Cannula and love it. So much better than what my oxygen supply company offers! I ordered five and will order more as needed. Comfort Soft Plus Nasal Cannula with 7-Foot Green Oxygen Supply Tubing. This is so soft and comfortable. My order was received exactly as ordered and more quickly then I expected. Thank you. I love the softness of the hose, the ring that keeps the two leads together spreads and keep coming down it has to be tighter, I'm always looking for better made ones. I have to wear it 24/7. Very, very soft and lightweight on the face. The material is a little funky - hard to describe ... it kind if clings to the face which helps, it doesn't leave marks like some other cannulas do, but when you remove it the cannula clings together and tangles a bit making replacing it on the face a little more difficult than normal. I like it well enough to order more, though. This product was exactly what I was hoping to find.The slightly longer, narrower, nasal inserts and softer tubing is much more comfortable and stays in place better, especially while sleeping. Shipping was very fast and I will definitely order again. This is the most comfortable I have found. Just be aware the nasal portion is not the soft plus material, just the regular stiffer material. All purchases I've made from Direct Home Medical were received promptly and are of High Quality. I would recommend them to others. This particular product has resolved most of my nasal irritation. I was excited to be able to find these since I used one from the hospital. The soft tubing is the most comfortable I have found and it doesn't make me wake up with "hose Face". With all this heat we've been having, the hoe does not stick to my face the way the old ones did, and they irritate at all. Thank you, and look forward to doing more business with you. This cannula is the softest I have ever used. I need to wear Oxygen all day now and will continue to purchase this one. From the extremely soft and light tubing from which it is made, to the thin, slightly longer, light, soft, perfectly shaped part that fits in nostrils. THIS CANULA IS THE ONE TO USE! Almost feels form fit on face in that it stays where you put it. Additionally, no deep indents on face when lying on side or sore nostrils from rough, wide, short insterts.